Patient 1: Alex (13 years old) - Patient had crowding of the upper and lower teeth with an excessive overbite and uneven smile. He had upper and lower braces and wore rubber bands to correct his bite. Dr. Cali did some laser treatment on the upper front teeth to lengthen them at the end of treatment. Now he has a very nice even smile that he can show off. Patient 2: Zakayia (9 years old) - Zakayia was self-conscious of her teeth because of the way they “stuck out”. 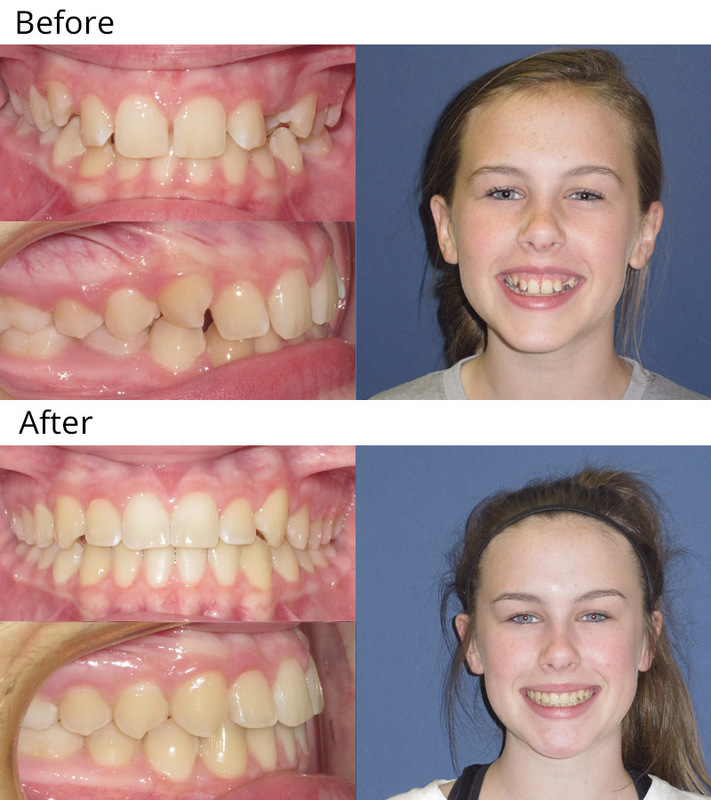 She had a Phase I treatment consisting of an upper expansion appliance to widen her smile and upper braces to align the teeth and give her a great smile! She will complete her treatment when all of the permanent teeth have erupted. Patient 3: Gracie (12 years old) - Gracie was did not like the appearance of her upper canines and she had an anterior underbite (upper teeth inside of the lower) and some of the teeth were impacted (unable to erupt). She had upper and lower braces and removal of four teeth to help resolve the crowding and improve the bite. Such an amazing transformation! Patient 4: Darian (11 years old) - Darian had a deep overbite and misalignment and chipping of the upper and lower teeth. 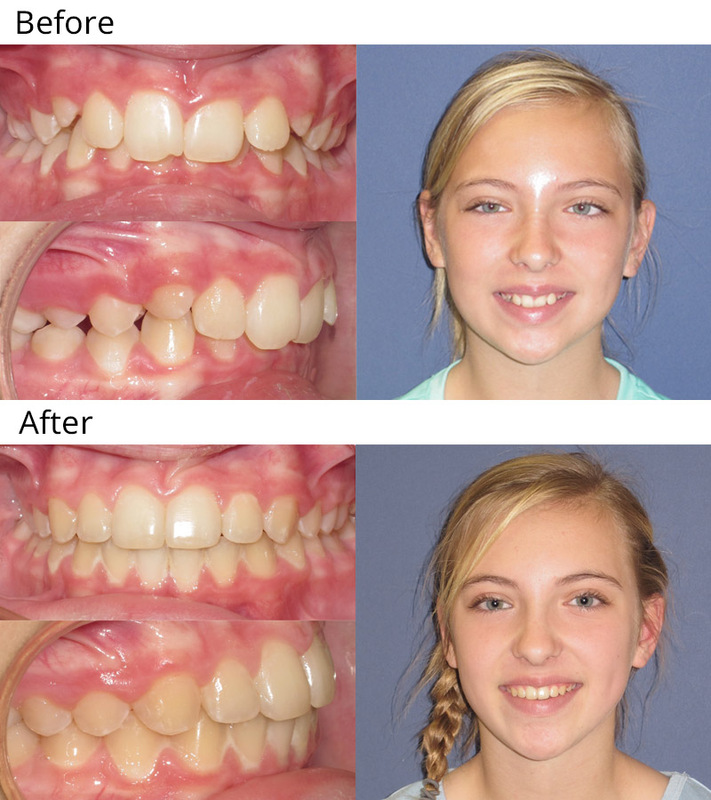 She had upper and lower braces to straighten her teeth and give her a healthy bite. Her teeth were shaped during treatment to eliminate the chipped edges. What a beautiful girl with a smile to match! 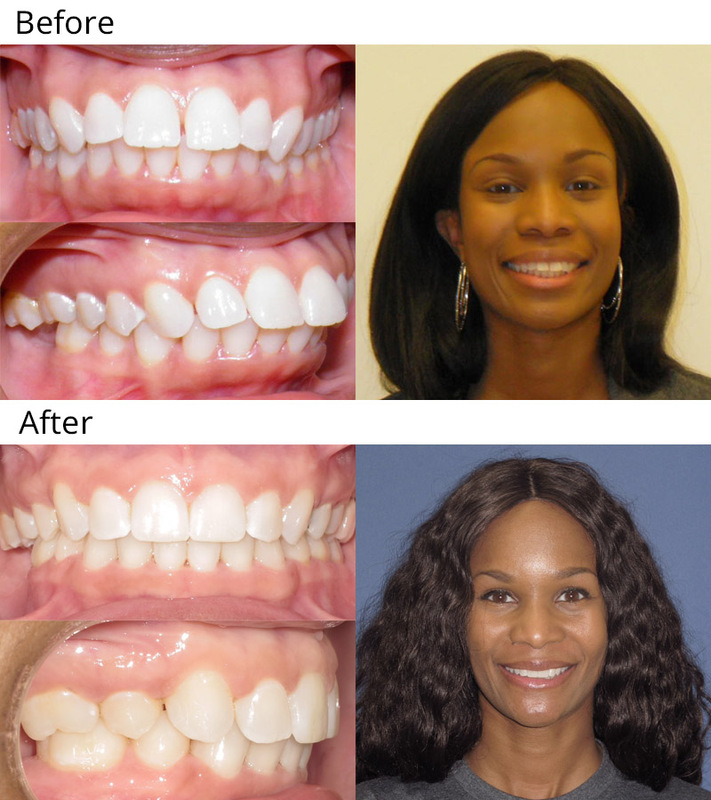 Patient 5: Akeiah (31 years old) - Akeiah was unhappy with the fullness of her teeth. She felt like they stuck out too much and wanted them moved back. 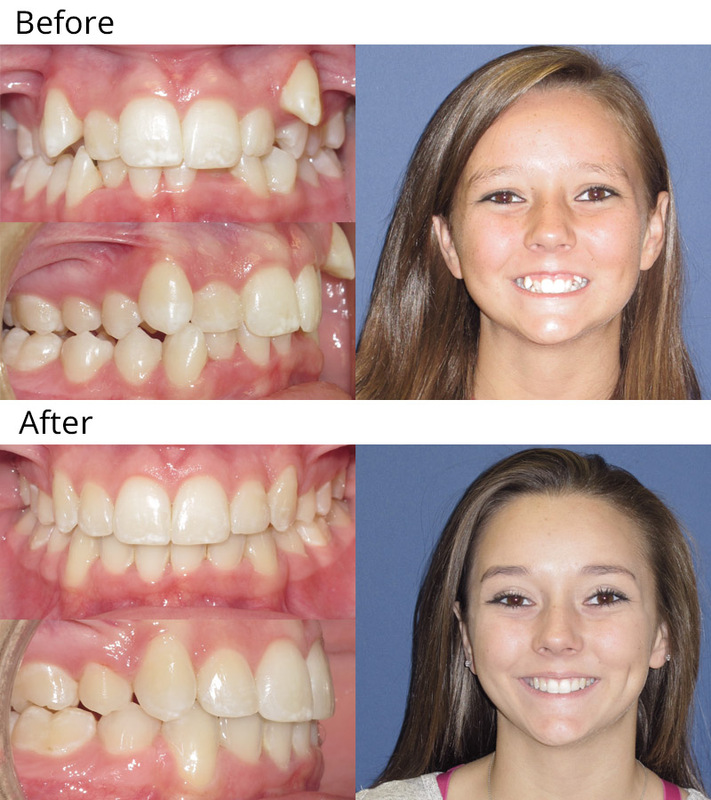 She had upper and lower braces and removal of four teeth to bring her teeth back and improve her profile and smile. She is very happy to have the smile she always wanted! Patient 6: Austin (12 years old) - Austin had a partial crossbite of the anterior teeth and asymmetry of the upper and lower arches. 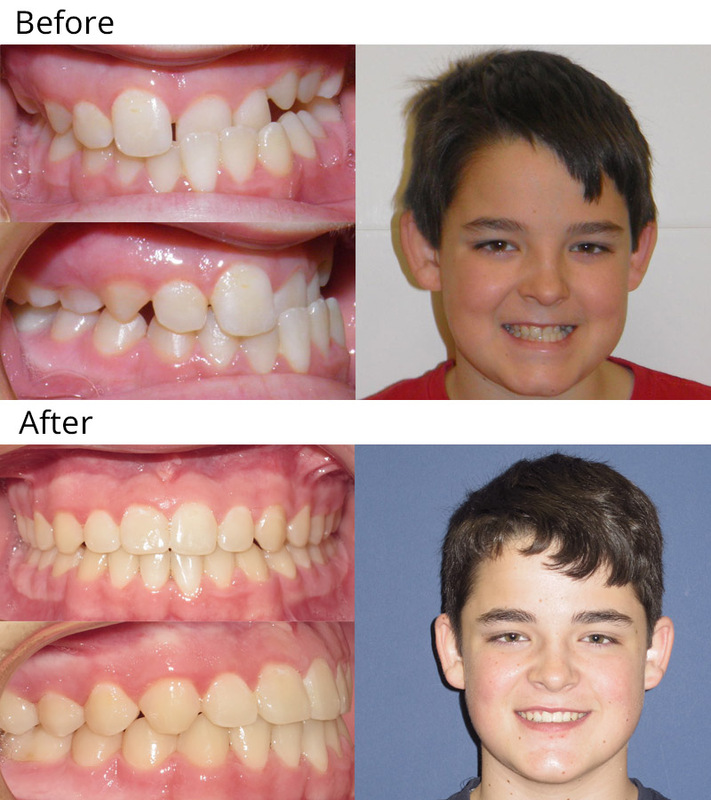 He had upper and lower braces and used rubber bands to correct his bite and give him an awesome smile. 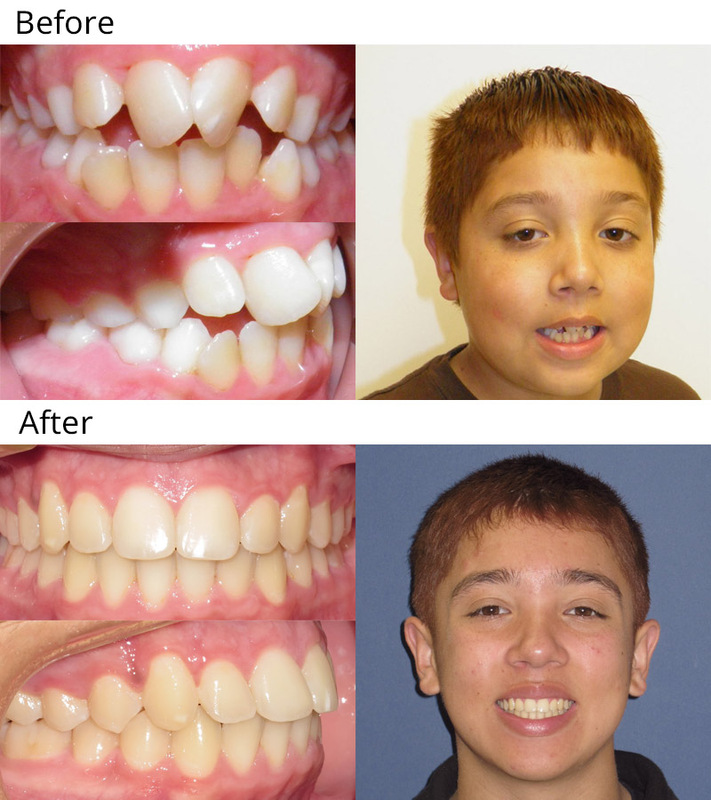 Patient 7: Angelo (10 years old) - Angelo started with an extremely narrow upper arch and upper and lower crowding. 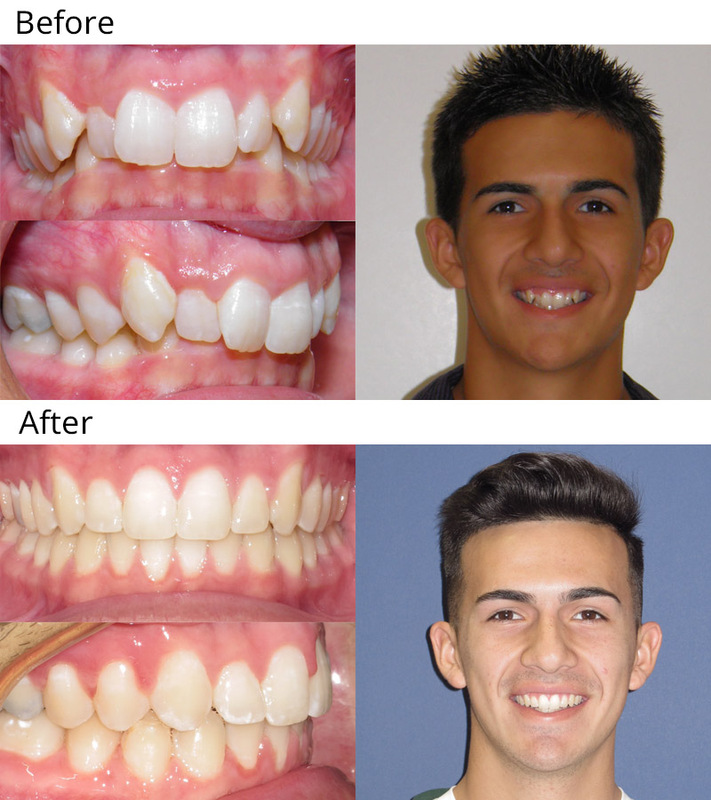 He had Phase I treatment with an upper expansion appliance and upper braces and later Phase II treatment with upper and lower braces to complete his treatment. Patient 8: Madison (14 years old) - Madison was concerned with the gap between her two front teeth and felt that her teeth were too long. She had braces to close the space and Dr. Cali shaped her teeth to give her a beautiful, harmonious smile. 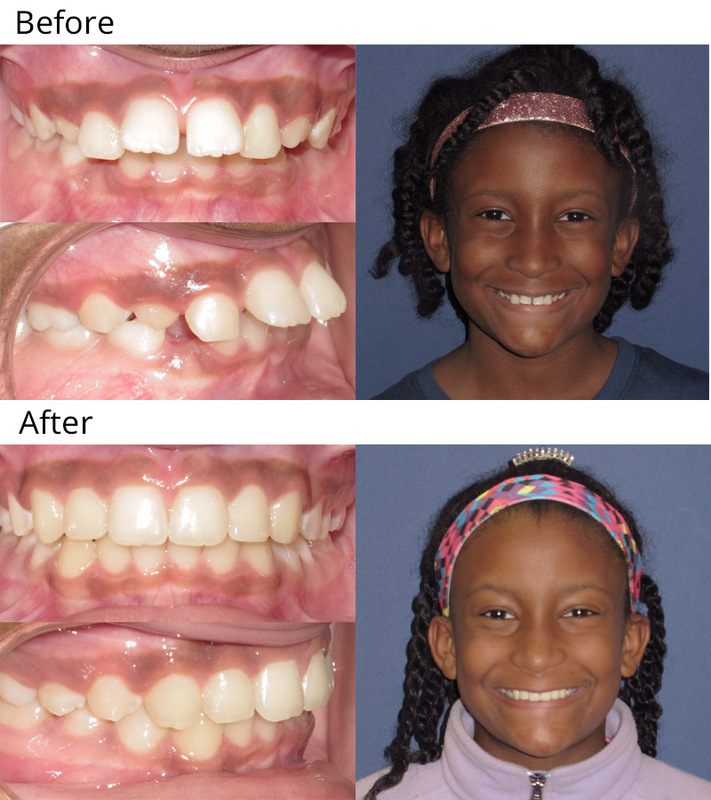 Patient 9: Rinna (12 years old) - Rinna was concerned with the spacing and alignment of her teeth. 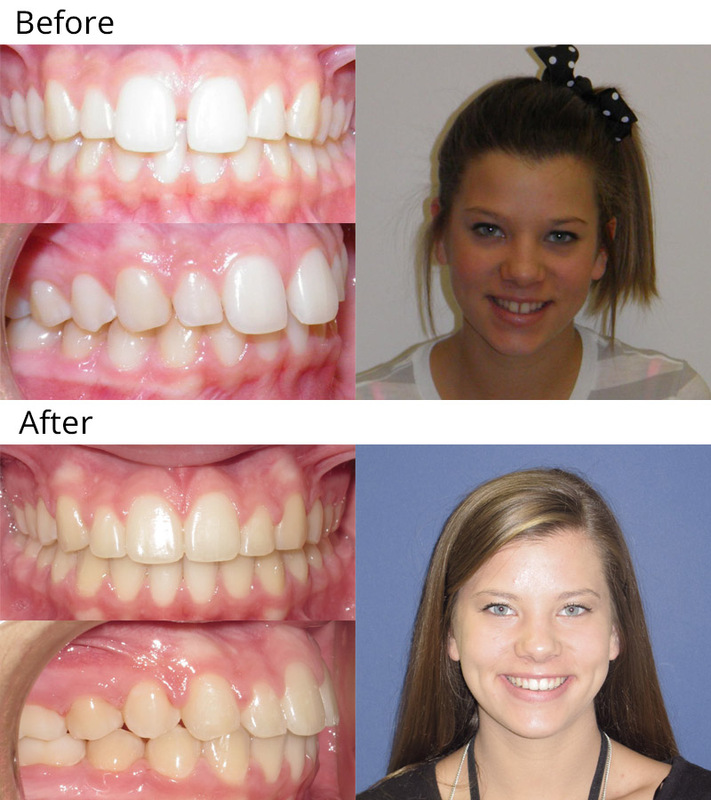 She had upper and lower braces to straighten her teeth and improve the “gummy” smile. Now she has an awesome smile to match her super sunny personality! Patient 10: Gabi (12 years old) - Gabi’s teeth were severely crowded and she did not like the appearance of her upper teeth. 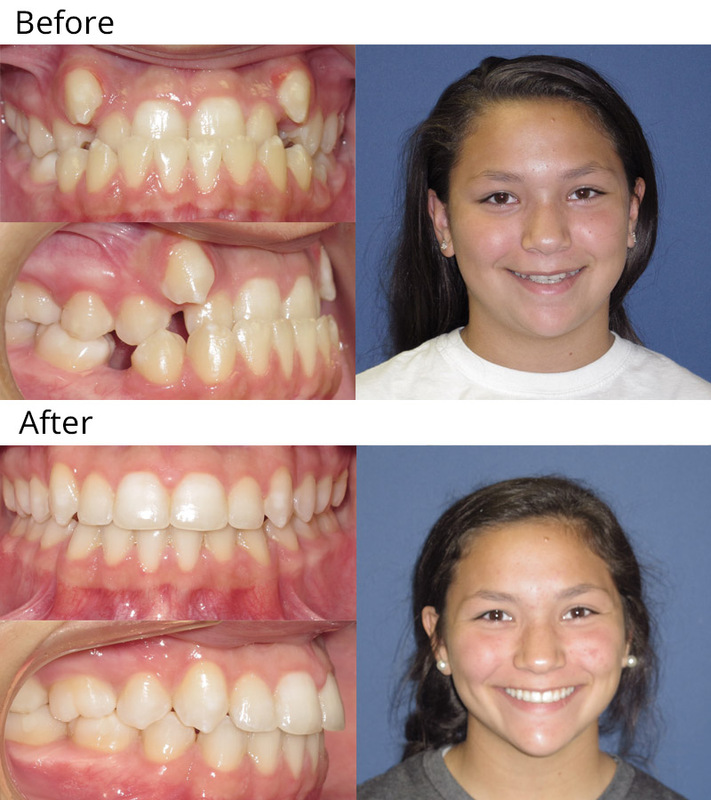 Gabi had upper and lower braces to align her teeth. After orthodontics, the short upper teeth were lengthened with laser treatment to give her a smile she can be proud to show off.